Owner, Amy Marino, is a Psychic Medium, Certified Reiki Master Teacher, Crystal Therapist, Akashic Record Practitioner, Lightarian AngelLinkTM Facilitator, Reverend, Mentor & Teacher. Amy began her journey searching for Truth in 1997. She was drawn to the world of Metaphysics learning Reiki, then Crystal Therapies, and Tarot. In 2009, she was guided to work at the Angel Room Wellness Center where she grew in many ways--learning and absorbing all she could and discovering she was a Medium. She works with many Angels and white light Guides, Ascended Masters, Animal Guides--even the Fairy Realms. All of her work is about healing and working on the energetic levels. In May of 2011, The Sanctuary was born with a mission of Love, Light, and Knowledge for all and to be a beacon of light for those in search of truth, healing and enlightenment. 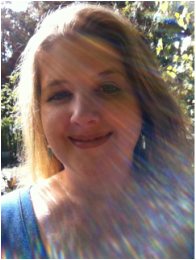 Amy is passionate about teaching others and runs many workshops including a wide array of psychic development courses. In the early stages, she was guided to expand the classes and workshops and teachers to put the Sanctuary on the maps as an educational center of metaphysics on Cape Cod. 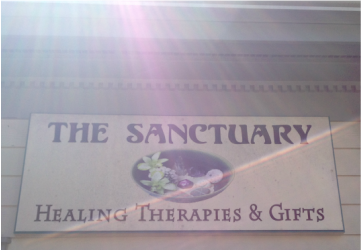 Today The Sanctuary offers a large selection of spiritual and wellness services to quench the soul, encompassing a selection of the Cape's best practitioners and special guests from all over New England. You will find traditional to cutting edge topics and workshops. We now have one of New England's original aura photography cameras and continue to expand our offerings. Visit our online boutique for your shopping convenience, if you cannot make it down to Cape Cod. Please contact us for more information on any of our services, practitioners, classes, or merchandise and to schedule your private appointment. Taken in April of 2014, just before the sign came down after 3 years in Mashpee. We moved to Barnstable Village on our 3 year anniversary. more than doubling our Gift Shop, Event & Yoga Space.